« We’ll have none of that here, sir! 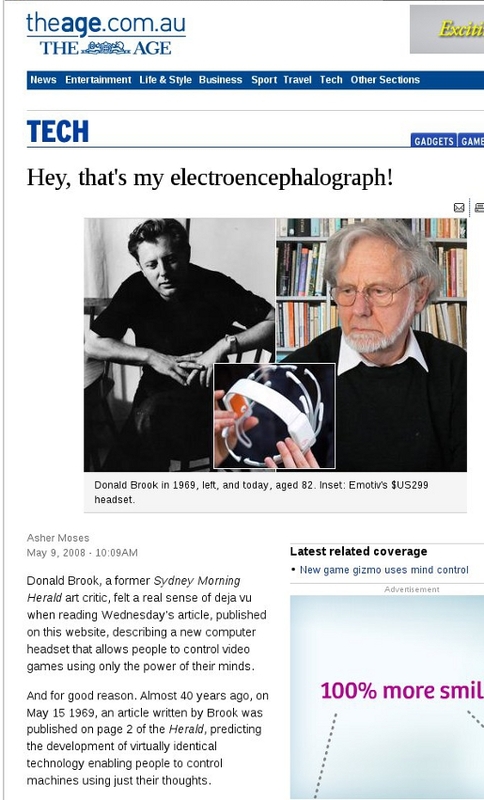 On Friday I attended part of a conference at the National Institute of Experimental Art at UNSW specifically to listen to Donald Brook’s keynote address where he summarised his recent thoughts on defining art. His approach corresponds closely with what we have argued here, that art in the cultural evolutionary sense can take any form … but anyway you should read his address rather than my clumsy precis. This is the clearest and most readable summary of his ideas that I have seen and it relates closely to the overall theme of the ACCA exhibition. It is important to understand that from very early on there was a split within conceptualism between those intent on developing a marketable product and others like myself more determined to pursue the radical implications of the analysis inherent in early conceptualism. The commercial strand of conceptualism won out of course (as money always does in the short term) and has dominated for decades. But seeing Donald reminded me that he also had ideas that were torpedoed by the cultural gatekeepers that now look increasingly prescient. Take a look at this project that failed to get funding. This entry was posted in Art, History and tagged conceptualism, Donald Brook. Bookmark the permalink. Post a comment or leave a trackback: Trackback URL. Is part of the moral of this story that Donald thought about this idea, and then (admittedly, after a delay of some decades) it came to pass, without him actually having to execute it himself? In other words, he succeeded in having his brain’s “volitional waves” produce an effect in the world! He really is a national treasure. I wonder if he ever met Percy Yeomans?